It’s only February, but I think I just read one of my favourite books of the year. This fantastic debut novel by Charlie Adhara is everything you could wish for in a PNR and more. The Wolf at the Door seamlessly blends the paranormal into a straight up mystery/suspense and makes it supremely entertaining. The plot moves along slowly at first as it gathers all the elements of the intricate plot, then gaining speed as it heads into a fantastic and nail-biting climax. In this world, werewolves are a known quantity within the government only. In order to protect this secret, the Bureau of Special Investigations is created to control the flow of information and to investigate any human/werewolf interactions that involve grievous injury or death. On the werewolf side there is The Trust, a group established by werewolves to look out for the best interests of the werewolf community. Tensions between the two agencies have been escalating. The Trust is accusing the BSI of lackluster investigations, poor conduct and unnecessary force when bringing in suspects. The BSI claims they are overburdened and that assistance within the werewolf community is practically non-existent. When it is decided that one agent from each group will team up to investigate several murders and disappearances in rural Maine, it’s up to Cooper Dayton and Oliver Park to overcome their mutual mistrust in one another and bring a killer, or killers, to justice. 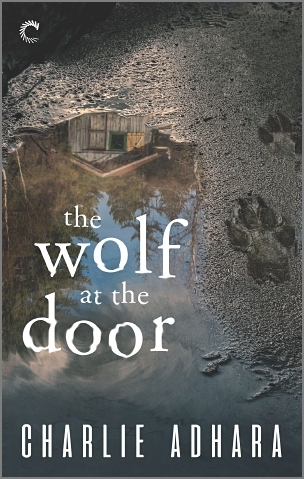 The Wolf at the Door brilliantly draws parallels between the treatment of wolves in this society and real life political and social justice events, and it manages to do so without pointing fingers at any one person or political party. I thought it was a neatly and smartly executed theme throughout the book. I loved how the initial wariness between Cooper and Oliver, evolves into a true partnership. They both work hard at trusting one another, even though letting go of preconceived notions is a struggle. Thankfully, the chemistry between the two of them sizzles, with body language saying everything neither of them wants to verbalize. All in all, I sincerely hope the next book is as good as at the first, as I can easily see this becoming a new favourite series of mine.